The Clarins Instant Light Lip Perfector Glosses are one of my all time favourite lip products so I was naturally very excited to see that Clarins are also releasing a lip balm version along with a Lip Oil for their Spring 2015 collection. There are six different shades in the range of balms which are sheer colours, with nourishing mango, Vitamin E and natural peptide to help boost hydration. I have three colours 02 Coral, 03 My Pink and 06 Rosewood. 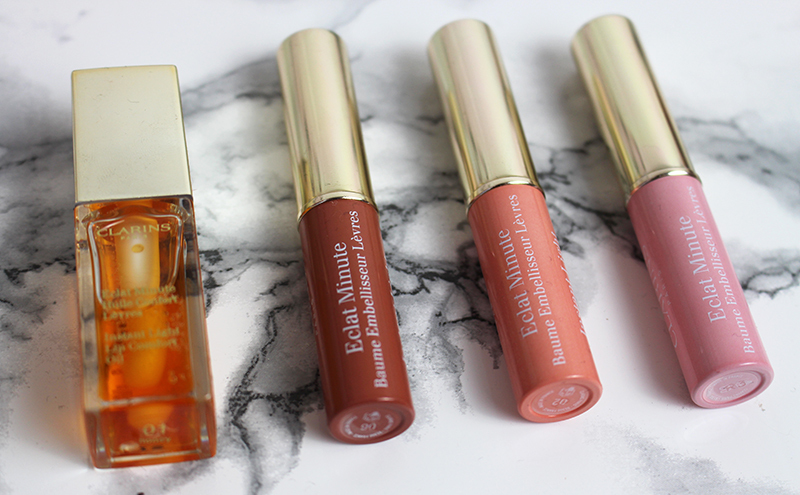 I love the slim gold packaging, they smell amazing (like the glosses) and feel hydrating but not too heavy on the lips. They are all very sheer and this is where I have a slight problem, they retail for £18 each which is quite a lot for a balm in my books. That said I do still like them but could never justify buying more than two as they are so sheer that they hardly add any colour at all onto the pigmentation of natural lips. 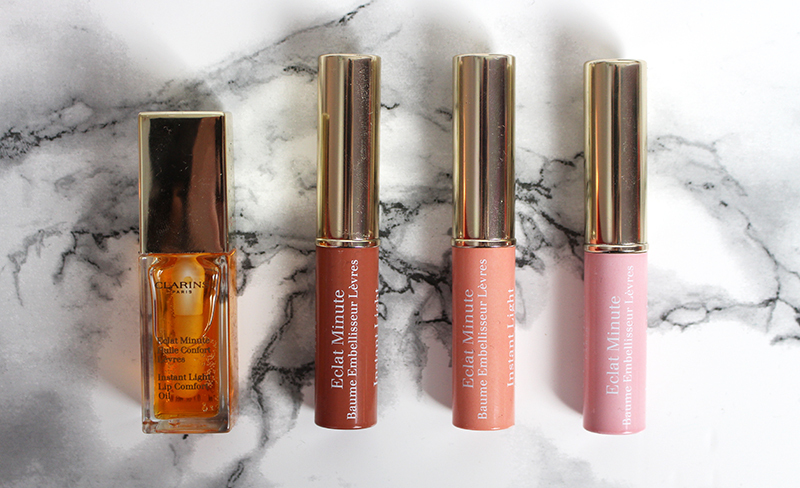 However they do leave a lovely glow on the lips and are a great option if you are looking for a slightly tinted hydrating balm. Onto the Clarins Instant Light Lip Comfort oil which although sounds very original reminds me a little of a slightly runnier Eight Hour Cream. It comes in two shades 01 Honey (which I have) and 02 Raspberry, which is an online exclusive. It is rich in essential oils such as jojoba and hazelnut oil but only has a natural fragrance. 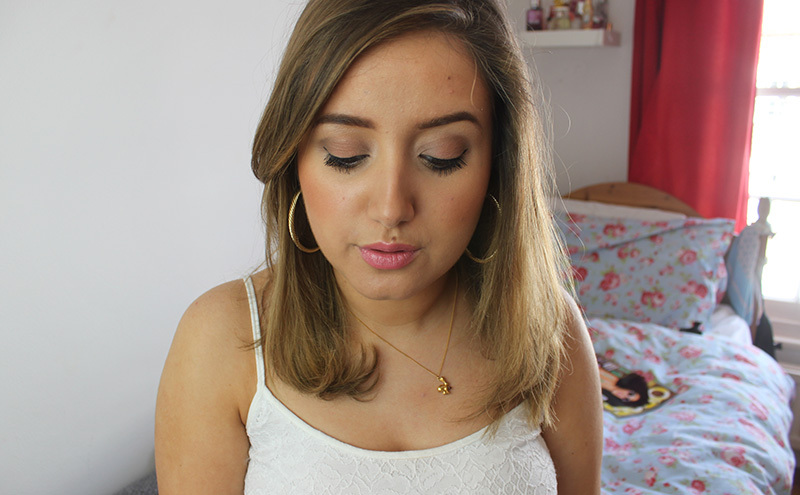 Honey is quite a clear shade with a hint of gold which I find really helps make the lips look healthy. It’s similar to the glosses and balm from the range in that it doesn’t feel sticky or oily but is probably the most nourishing from the range. I would probably like a slightly smaller sponge applicator but I don’t think precision matters too much with this product. The Clarins Spring Collection launched earlier this week and the Instant Light Lip Balm Perfectors and Instant Light Lip Comfort oil retail for £18. Will you be picking up one of the new Clarins Lip Balms? I’ve had this perfume for a few years now and I am so glad I decided to take it away with me. The smell reminds me of summer like not much else can and it’s just the perfect light scent for a hot summers day. I really needed my tan to last 5 days with absolutely no uneven fading which is why I committed to this morning and evening. It hydrated my skin like nothing else could and although it is a little heavy it left my skin looking great all day! I’m not going to start using these on a day-to-day basis but for travelling these are absolutely essential. I didn’t want to take my eye makeup remover and cotton pads as the bottle is big and I didn’t want to run the risk of it spilling. These pre-soaked pads worked perfectly and removed all my eye makeup quickly and efficiently although they took up minimal space in my wash bag. This is a new product which I really enjoyed using to keep my lips soft and moisturised, I also didn’t back a cuticle oil so it doubled up as that! I threw this in last minute and wasn’t sure I would get much use out of it but as the weather was so warm I decided to switch a base that was a little lighter than a foundation. It applies beautifully with the fingers and offered a good enough coverage without seeing too heavy on the skin. It worked beautifully on my dry skin and lasted most of the day with a light powdering. Only downside is it’s a rather expensive £45. 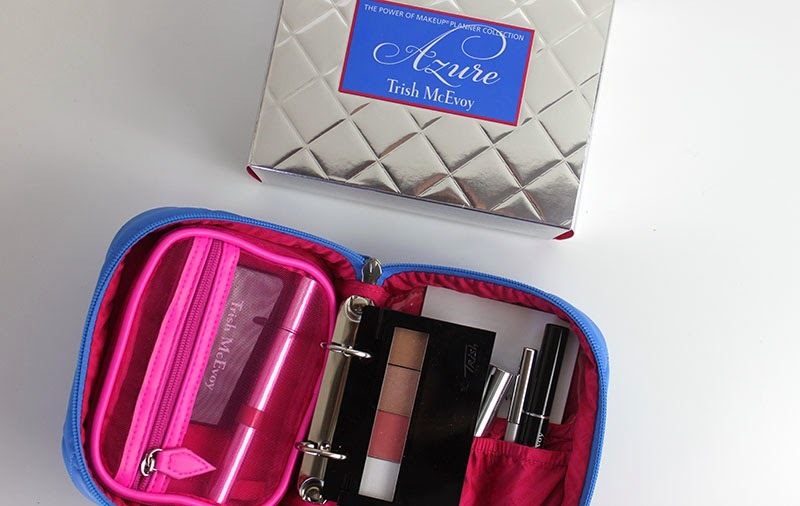 What products did you fall in love with on your last holiday/weekend break? 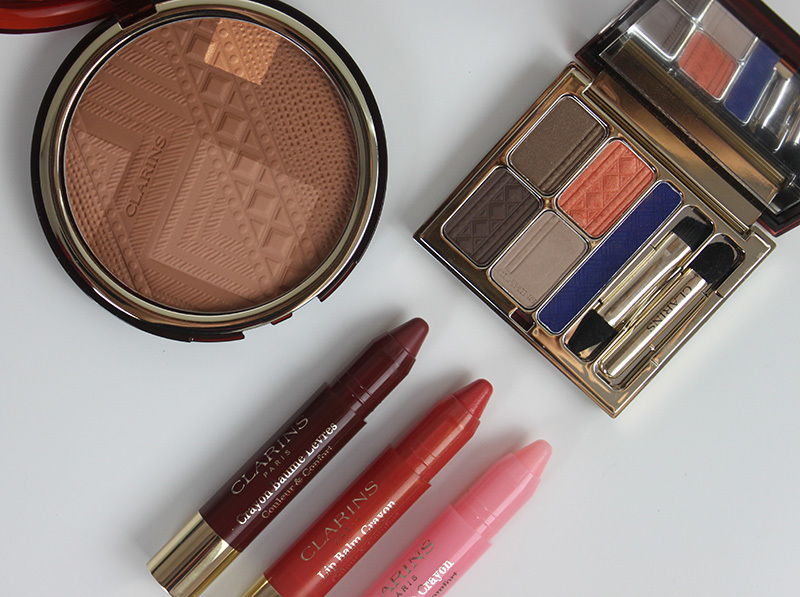 This season Clarins has taken inspiration from Brazil for the 2014 Summer Collection. It’s inspired by golden beaches, the blue and coral colours of the sea and the bronzed skin. They have brought back the old favourite Summer Bronzing Compact which is a large bronzer embossed with a south American inspired Motif and a blend of warm browns and terracotta. Although I think bronzer isn’t ideal for travel (due to it’s size but it does have a great mirror) it is a great bronzer, not too orange and buttery soft. I can’t wait to wear this with a tan, it really is a great product to enhance a tan and add an glow. When I originally saw the Quartet and Liner palette I was a little worried about the colour combinations, could I really wear orange and navy? After following the suggest included with the palette and use the orange on the centre of my lid, blended with the browns and using the navy under the bottom lash line I really loved the final look. It was nice to wear colour on my eyes that wasn’t too daring, colour on the eye done tastefully which I think is often very hard. The quality and pigmentation of the shadows is great and at a reasonable £32 I would recommend it if you are struggling to wear colour on the eyes but would like to. Finally probably the release I was most excited for, the Lip Balm Crayons. 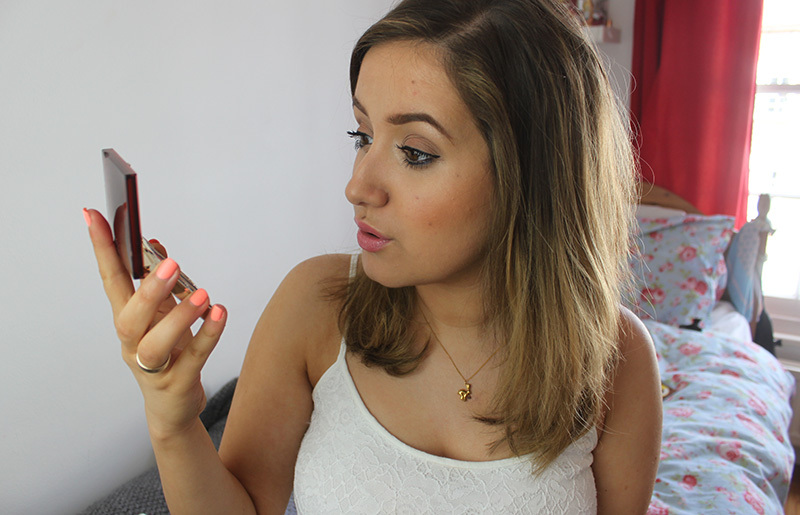 I think Clarins does lips very well and in these photos I am actually wearing one of their lipsticks which is one of my favourites ever and their Natural Lip Perfector Glosses can not be beaten. However I was a little disappointed with the balms, they weren’t as pigmented as I have hoped but then again they are balms. 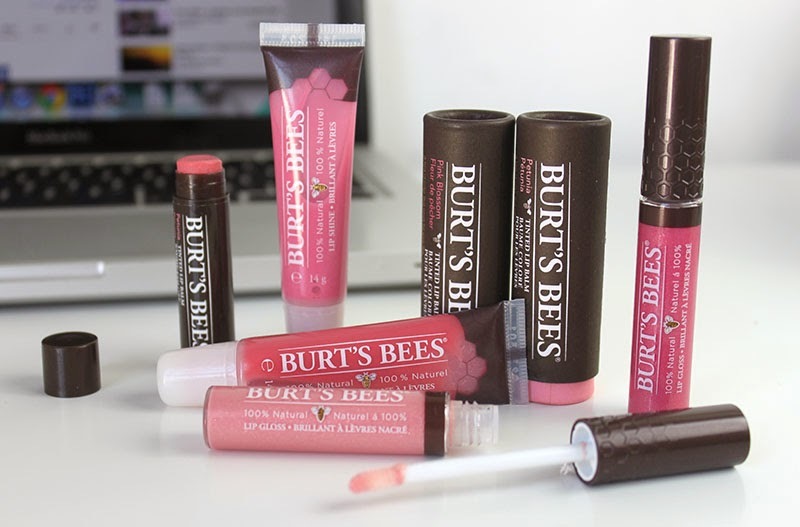 They also weren’t as hydrating or smooth as I expect a balm to be, that said I will still be checking out Creamy Pink which I don’t have but looks like a great colour. There is also a waterproof mascara part of the collection which looks really interesting but I don’t have, let me know in the comment if you have tried it? The Clarins Colour of Brazil collection launches in May and my stand out products are the eyeshadow palette and bronzer. What do you think of this new Clarins collection? What is your favourite Clarins product? I love watching YouTube videos with first impressions on products and seeing new product people have got however I don’t see quite as many post on blogs so I thought today I would share what new products I have received and what I thought. 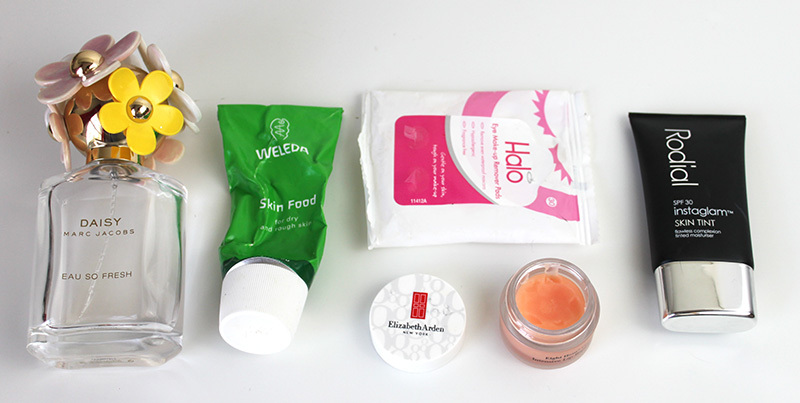 I haven’t had any of these products for long so they are just my first impressions but let me know what you would like an in-depth review and swatches on. Please note that I will be talking about what is new to me; somethings will be new releases but somethings won’t, hope that okay. I was expecting to like these too much but actually have been reaching for the fragrances a fair bit as it’s the perfect go-to easy, fresh spring scent. I would skip the skip the body lotion and purchase the Eau De Toilette and at only £15.50 you can’t go wrong. Another perfume launch from DKNY inspired by New York. This is a great perfume for all you fruity lovers with a slightly more grown up musky undertone. I actually think I prefer this to the usual DKNY scents but I just wish the bottle weren’t quite as long. £38 for 100ml available exclusively at Superdrug 9th April. What do you think of this post? Would you like to see an in-depth review of anything?